I headed down to the Worldsend Hotel last Friday night for a hard rock experience full of sludgy riffs, hypnotic bass lines and spanking drum solos. Holy Serpent served up some heavy music as part of their Shroom Doom Tour, designed to make you chill out and sway back to forth to the mesmerizing tunes. Kicking off the evening was Jungle City, a band I had seen a few times before; each time I am reminded of their balls-to-the-wall performance. This time was no exception. Every member of the band was rockin’ out and really feeling the music they were playing. I enjoyed Brenton Wilson’s epic voice and tasty guitar solos, backed effectively by Kaileb Rothwell on fuzzy bass and Luke Wilson on drums. 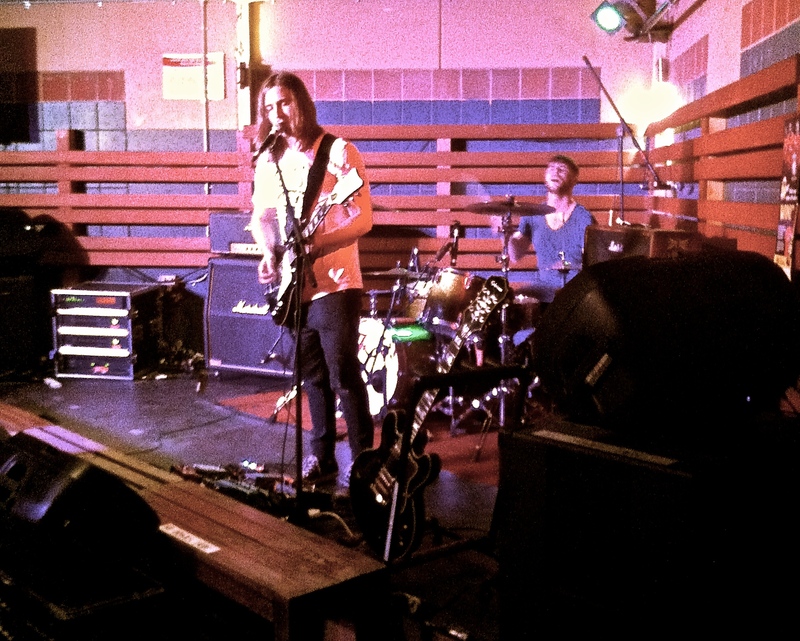 Next up was Filthy Lucre, a heavy rock duo from Adelaide. When they took to the stage I was getting a beverage, what I thought I heard was four people but I was presently surprised to find two musicians jamming out. Filthy Lucre has mastered a full sound with only two members; the resonances I heard were fat and the riffs were flavorsome. As the set continued, the drum performance from Ed Noble was so ferocious that a cymbal was cracked in the process. I was further impressed by the huge tones emanating from Luke Marsh’s unique cigar-box guitar. A heavy and flavorsome set by Filthy Lucre. 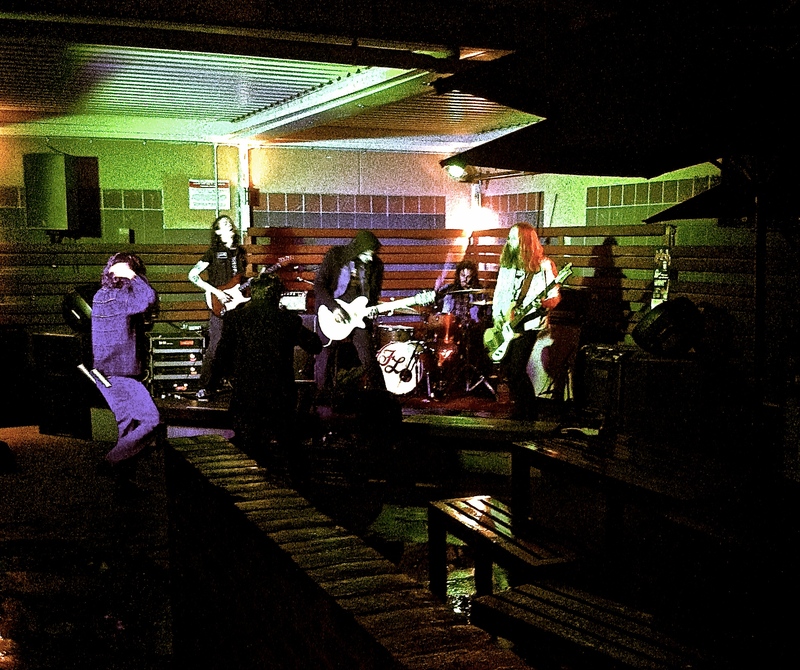 To end the evening, Holy Serpent provided a muddy and psychedelic set. All the way from Melbourne, these guys know how to put on a heroic doom rock show. Right from the beginning the riffs were big and in your face, just the way it should be. The tempos just slow enough so you can take in all the mud and distortion. Both guitarists, Scott Penberthy and Nick Donoughue, have crafted vintage guitar tones that generously outline the old school influences of the band. What stood out for me was a performance of ‘Holy Serpent’, a tune that is featured on their latest self-titled record, Holy Serpent. It made the audience jump around and trip out to the head-banging rhythms and riffs that were being created on stage. The songs were leisurely and dirty, helping everyone get into the groove of a powerful and entrancing show. This was one night of intense, filthy and psychedelic rock music. It was awesome to hear such low-down, grimy jams that captured the listeners imagination and emanated such power and drive. Check out these bands and cross over into a dooming, enthralling world of heavy rock for the love of music. Holy Serpent provided doom rock at it’s finest.